Your skin responds to any trauma by creating a scarring tissue which is a byproduct of the healing process. Collagen, found in the dermis of the skin, is the main component of this new tissue. After a burn, your body heals it by creating a scar. But scar is always unpleasant, and many people wonder how to prevent the scar formation. The most effective time frame is the healing process after the burn. With proper care, you can shorten the healing process significantly and reduce the formation of scars. In cases of severe burns, professional medical help is necessary to reduce and prevent scars. By rinsing the wound with cool water, you will remove all the germs, dead skin, and other debris from the wound. This will just speed up the healing process and prevent any possible infection of the wound. Antibiotic cream applied locally on the wound will protect you from getting an infection. Apply it with a sterile tongue depressors and in a large amount. After applying the antibiotic cream, bandage it carefully. You can ask the doctor for the specific bandage for burns. Then wrap the wound area with a gauze. Stretching is recommended, especially if the wound is located in body areas that stretch or pull a lot, like in the palms of the hands or fingers. Keep in mind that burned skin can create contractures which mean that the skin of the scar is tightened and the body movement is limited. You can stretch your skin ten times every day for one minute each time. This is one important tip about how to prevent a burn from scarring. Do not cut away the blister before time. Normally, blisters do pop out on their own. Only a doctor can cut the dead blister skin away to prevent any possible infections. If you detect any sign of an infection, seek medical help. It is very important to treat an infection in its early stages as it can just prolong the healing process and contribute to the formation of scar tissue. Any redness, swelling, pain or a presence of pus in the wound or around it is a sign of an infection. Be aware of fever too. Burned skin is very sensitive so you should make sure to avoid the sun during the healing process. This lasts approximately about 6 months. If, however, you need to go outside, make sure to put some sun cream. If you need to stay longer outside, repeat this process a couple of times. Do you wonder how to prevent a burn from scarring? One of the methods is to apply petroleum jelly as it keeps the injured area moist, promoting the healing process. Petroleum jelly also prevents the formation of a scab. 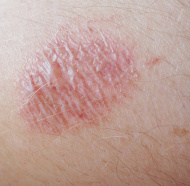 If a scab does form, petroleum jelly can reduce the scar's sizes as the tissues heal. By massaging the wound area you will help the breakdown of the collagen that leads to the formation of scar tissue. However, make sure not to massage too much as the wound may re-open, increasing the possibility for scar tissue and prolonging the recovery period. You should massage the area a couple of times during the day in a circular motion for about 15-30 seconds each time . One of the ways of preventing a scar is wearing pressure garments. Pressure garments are tight-fitting clothes which are worn on top of the wound. These garments should be worn for most of the day, usually up to 23 hours a day, especially in children. They are only removed while having a bath or shower. Munaka honey, a medicinal honey is used for the treatment of burning wounds. Honey helps clear any infections and protects the wound from any additional infection. It also stimulates the growth of new tissue, shortening the recovery time. These are ten natural ways about how to prevent a burn from scarring. The home remedies apply to burns of the first and second degree. Normally, first-degree burns are less serious, affecting only the outer skin layer, characterized by pain in the affected area, redness, and swelling. Second-degree burns are more serious, as the burn has affected deeper layers of the skin, appearing with a darker shade of red, sometimes with a presence of blisters as well. The pain is more severe when compared to first degree burns. In third degree burns, a wise thing to do is to get proper medical help. With necessary treatment, you will shorten the healing process of the wound as well as prevent the formation of scar tissues.